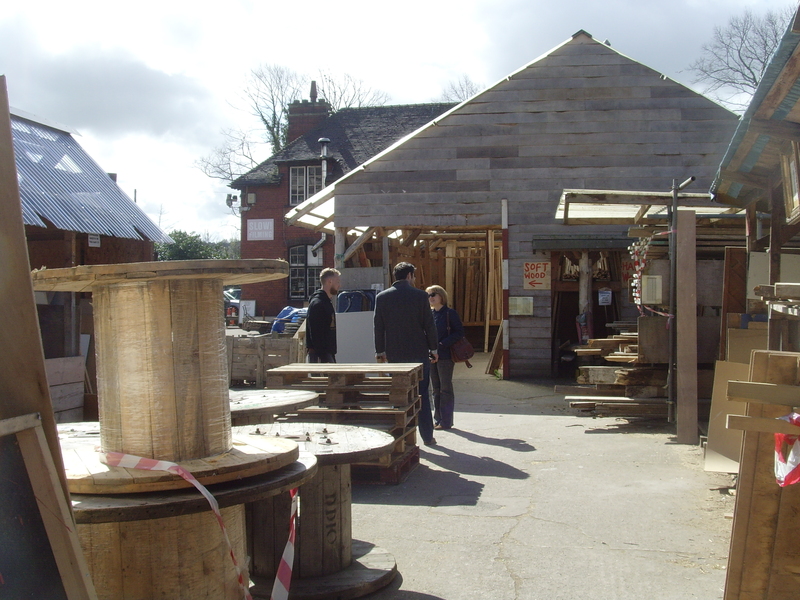 The main aim of my visit to Bristol Wood Recycling Project was to talk to people about archaeology. Specifically, what I wanted to do was to find out why people were making use of the BWRP and what they were doing with the materials they left with. I’ve always found that these simple conversations lead into discussion of wider issues. Archaeology is good at working on different scales at the same time, looking both at objects and at the wider-world systems they are part of. So are regular people. The person I spoke to most was Kaleb, in charge on the day I visited. I’ll come back to my conversation with him on Friday. What I noticed really clearly about the place is that a very large proportion of the custom came from young couples. BWRP is obviously playing a part in people kitting out their first homes, itself a really important thing. I didn’t talk to any of them though, I focussed on the people who looked like they knew what they were doing, I wouldn’t want to put off anyone unsure of their DIY needs and skills! The first person I chatted to was with Kaleb when I arrived. He was doing something fairly straightforward, taking a piece of plywood to turn into a tool shelf for the back of his van. A small job, for sure, but a small example of the interdependence of projects of this kind and independent businesses. One of the main attractions is that it’s cheaper of course, but the person in question was also keen to support the BWRP and its wider aims (see yesterday). 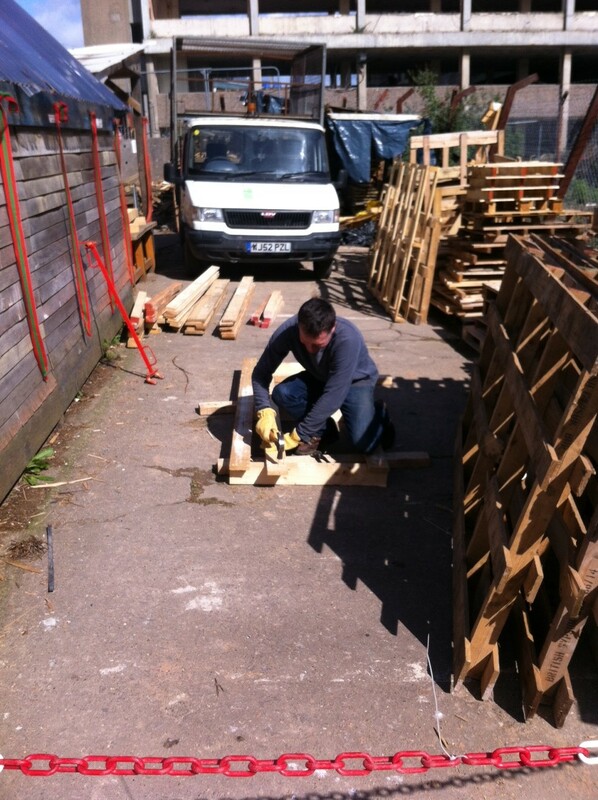 The next person I chatted to was Ben, who I found taking wooden pallets apart. Excuse me, mind if I talk to you about archaeology? Ben is a long-term customer of BWRP and used local reclamation yards as well before they closed. I chatted to Ben about the kinds of things he has made with wood from the BWRP (see below), of which there are quite a lot. He told me that he has always worked from a philosophy of fixing rather than replacing things, more for practical reasons than because of any green philosophy. In one sense, what we can see in these regular, very practically-minded regular customers is one of the ways in which people work hard to inhabit individually the world as constrained by politics, economics and more. Yet Ben was also clearly aware of the environmental and social issues at the heart of the BWRPs aims – and the fact that people can do something about them – so he is certainly an important part of enacting that wider network. Here are some of the things he’s made (thanks for the photos and permission to post them, Ben). 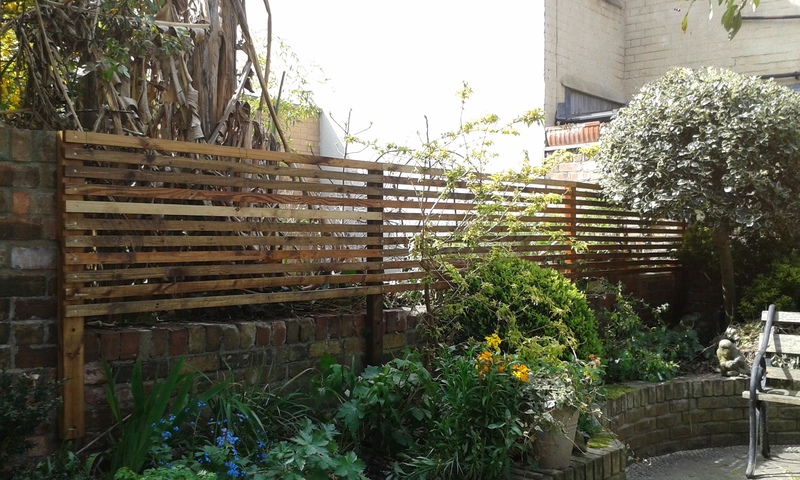 The fence Ben made with the pallets he was taking apart while we chatted. Shortly before I left, I talked with Sarah, who I overheard saying she was looking for wood for an art project. It turned out that a friend was being very productive in some DIY that day so she had decided to join in and make a table. She had come to the BWRP having seen it when walking past walking dogs. 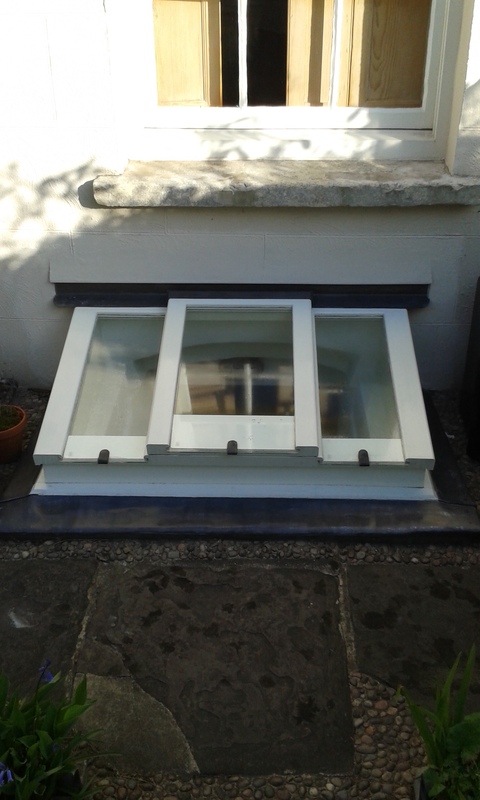 Her plan was to get an old cupboard door and fill the recessed centre with pebbles and resin. Discussing the archaeological take on BWRP, we moved onto a discussion about precarity in the city, Sarah being a post-doc researcher in a university department where she works in a room full of other researchers all on two-month contracts. I wonder whether the BWRP is also useful as a kind of therapy for people who need to do something practical to take their minds off wider issues. So, these are some of the people of the BWRP, people who took time out of their DIY Saturdays to let me stand and talk about archaeology with them for a bit. I’m grateful to all of them for letting me disturb them. I’ll draw out a bit more of what this all means for public archaeology (and urban archaeology in general) on Friday. Each of these Public Archaeology 2015 projects includes some kind of engagement away from the blog site. Being interested in material networks and what they can tell you about the city, I wanted to go and talk about archaeology with some of the people making one of these networks happen. As you might have seen from yesterday’s post, there are lots of examples of the ends of these networks, bits of street furniture appearing in different contexts for instance. It’s actually quite hard to get at what happens in between. With the street furniture examples, many councils have central depots holding benches, lampposts, flag stones and so on that have been taken from one place for whatever reason and are waiting to be relocated (or sold…). It’s really hard to find these places! 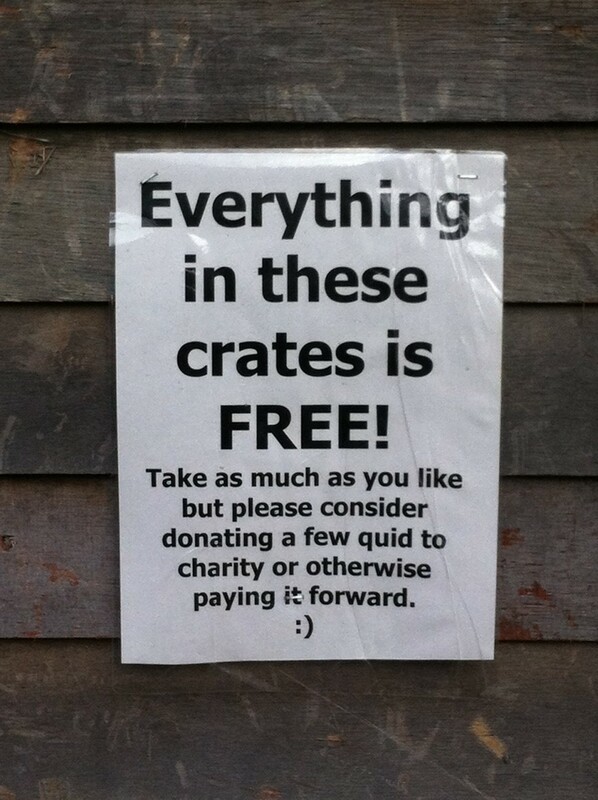 It’s understandable that they’re a bit hush-hush, their contents are really valuable. So, with street furniture, I only have ends and no middle. Then I read about Bristol Wood Recycling Project. Saving resources from waste – intervening in the waste disposal system to salvage reusable wood and save it from rotting in land fill. 25% of their wood comes in this way and contractors who work with BWRP can use that relationship to demonstrate a commitment to sustainability and being environmentally friendly. 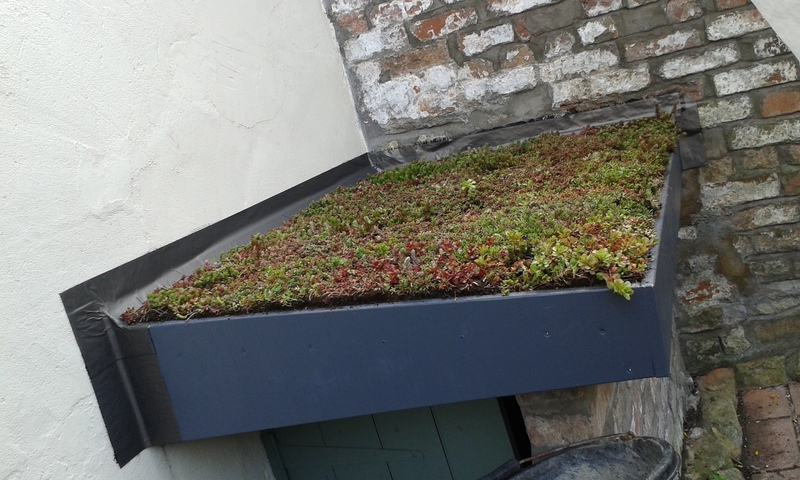 Provide affordable timber to the local community – as well as promoting sustainable waste disposal, the BWRP helps local people get by by providing a source of wood at less than commercial rates, enabling people to undertake projects they might not otherwise afford. Enable social inclusion – BWRP gives people a place to volunteer and gain some training in related skills. Remain self-funding – it tries to turn over enough money to stay in business, no more. What makes this a site of public archaeology? 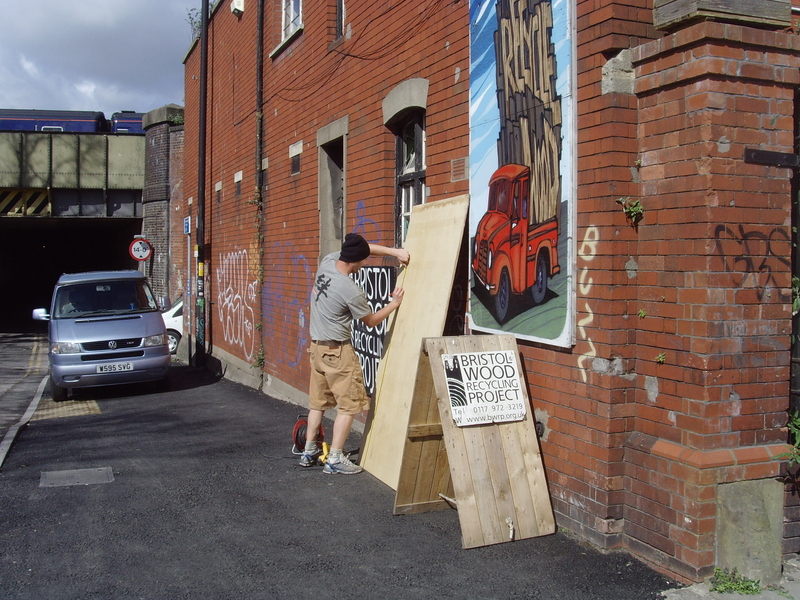 Bristol Wood Recycling Project facilitates the movement of a particular material, not just in local re-use contexts, but in relation to national networks of waste disposal, so it’s invaluable for learning about how that particular material moves around. It’s also consciously socially-engaged, working with volunteers, providing a service for local people, and doing so while remaining not-for-profit. It’s not quite a site for working with people to learn about the past, but it is a site for working with them using archaeological methodology to understand the present and the future. To be honest, in these contexts, it’s me doing most of the learning, but it’s always a conversation. I’ve done enough work in this area now to be able to provide the ‘big picture’ and to be able to explain how a project like BWRP fits into the wider world. However, I need to talk to people to understand the details of how individuals fit in and what the impact is of this kind of project on people’s lives. 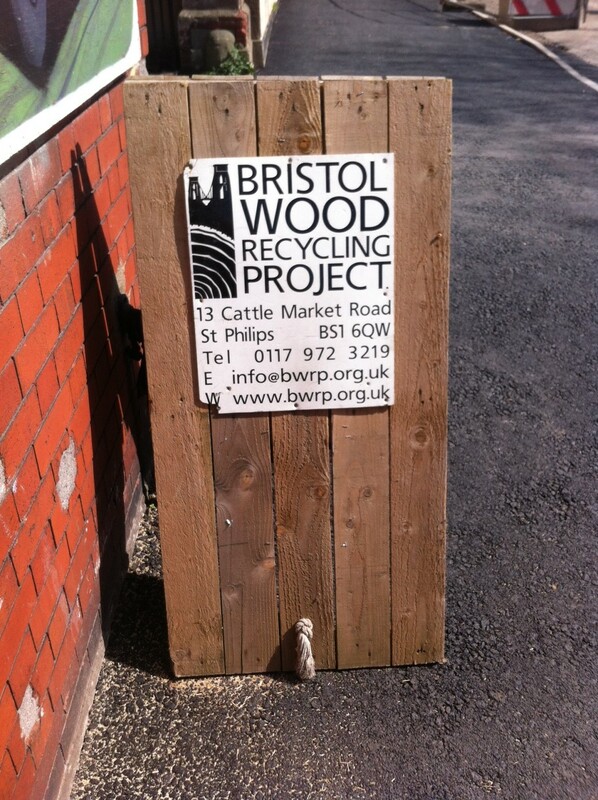 The Bristol Wood Recycling Project is important in itself, but also an incredibly important kind of thing. It is a kind of thing that shows us more clearly than elsewhere, a particular intersection of people, the environment, the city and politics, and understanding its rhythms is, I argue, key to understanding Bristol. I spent five hours with them earlier in the month, having a long conversation with Kaleb, the man who was in charge on the day I visited. It was quite a punctuated conversation as it was a very busy day. In the gaps, I had a good look around the yard myself and chatted to a few customers, generally the ones who looked like they knew what they were doing. Over the next three days, I want to develop the public archaeology of projects like Bristol Wood Recycling Project. 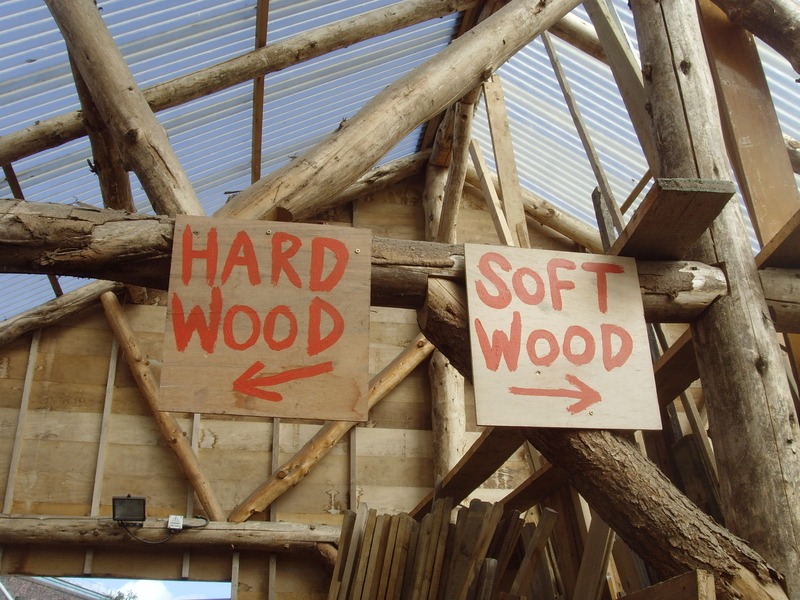 Firstly, I’ll tell you about the people I met and what they were doing with wood. Then, I’ll throw a bit of my own archaeology in with a post on what I could tell about the place from going and looking at it. Lastly, I’ll come back to my chat with Kaleb and conclude with some thoughts on how my time with BWRP helped me develop some ideas around the ‘public archaeology of the future’. Hope you find it interesting. As we go, please do chip in with any similar projects you know, or have used, or volunteered for. In the remainder of this month I want to turn to a particular kind of recycling. What I’m interested in is the ways in which relatively mundane material moves around, what examining that movement tells you about people and how people can use that research themselves. It’s a kind of public archaeology that tries to find ways for people to appropriate archaeological methods or perspectives to aid their own interventions, whether in shaping cities by deciding where to live, opposing planning proposals or even voting in local and national elections. What I’m planning over the next fortnight is to start, on Monday, by introducing these ideas and their public archaeology potential in a bit more detail, before moving on to talk about my recent work with the staff and customers of the Bristol Wood Recycling Project. After that, I’ll conclude the whole month with some thoughts on material networks and public archaeology and how the two coming together can change the world (maybe). 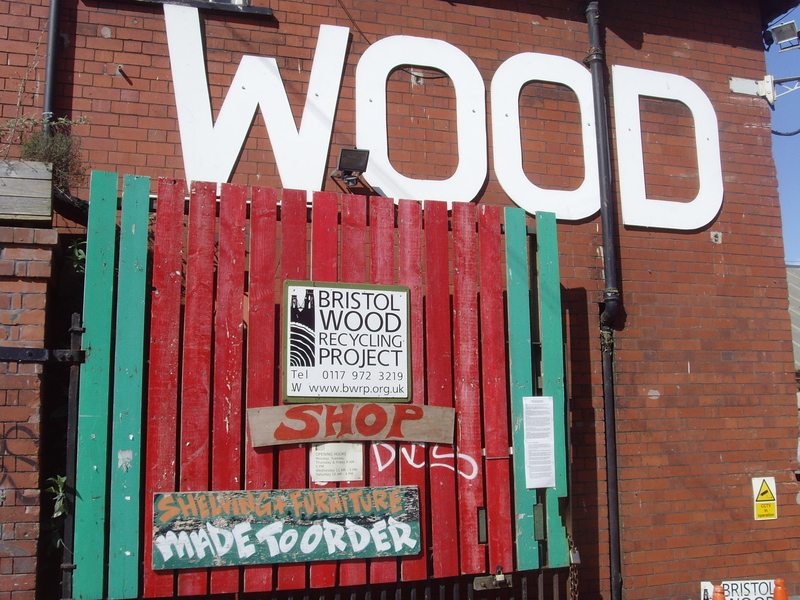 In the meantime, I wonder whether anyone out there has come across any existing links between archaeology and recycling/re-use or has worked with community groups like the Bristol Wood Recycling Project. Comment below and let me know! When I started thinking about this project a few months ago, my plan was to do a series on one-to-one tours through London, one a day for a month. While I’d still like to realize that idea in some form in the future, I have decided to focus on something else for PA2015. Reading Sarah May’s great blog Heritage for Transformation I really enjoyed a story about a piece of gravestone found in a neighbour’s garden and how it came to be there after the bombing of a nearby graveyard. This story appealed to me greatly because I have always believed that urban regeneration – by which I simply mean urban areas changing over time – happens as much in the small scale as in the larger scales of planned re-development that we more commonly associate with the term. So, the building of a new shopping centre is urban regeneration, but so is you choosing where in the city to live or by what route you walk home from work. The building of a mass transit system is connected to that ‘top down’ urban regeneration, but so is a piece of grave from a bombed graveyard being reused as paving. Back in 2008, David Cemlyn in Bristol chained himself to a lamppost to protest against its removal and relocation to enhance a conservation area on the other side of town. Article here. A fascinating act in itself, but when I ‘followed the money’ to the conservation area that would be receiving this piece of active street furniture, I found out that it was not removed to order at all, but that a local amenity group (I interviewed their lamppost afficionado Maggie Shapland) had saved money to buy it from Bristol City Council to replace one that had been damaged. So, just crossed wires? I think we have to take it more seriously. A lamppost WAS moved and that movement of material caused a protest (reported internationally). At the other end, a local amenity group raised money to physically change the place in which they live. In the middle is a council goods yard (location???) full of street furniture removed from its original contexts and waiting to become part of other ones. As part of my Ph.D. research, I did a photographic survey of Bristol’s Broadmead shopping centre shortly before it was repaved as part of the Cabot Circus development. 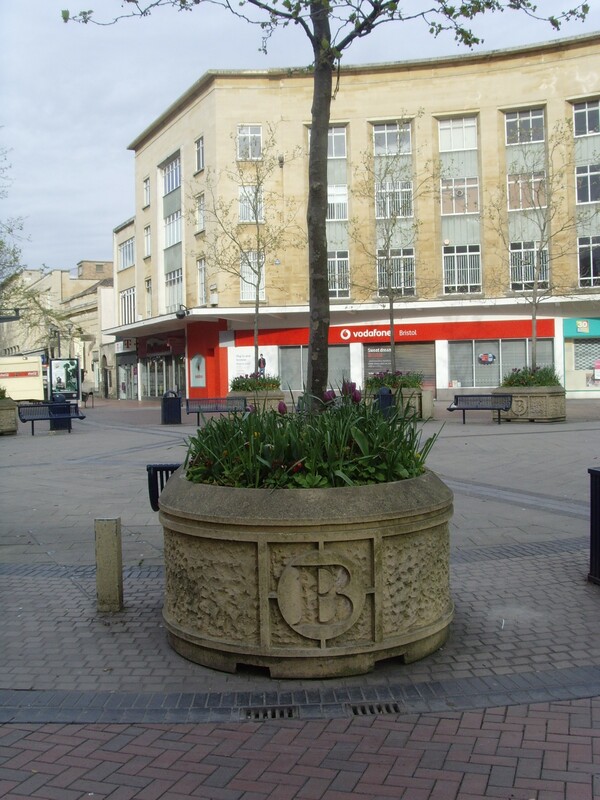 In the centre, and dating to 1998, was a paved area with benches and flowerpots each bearing a large ‘B’ for Broadmead. 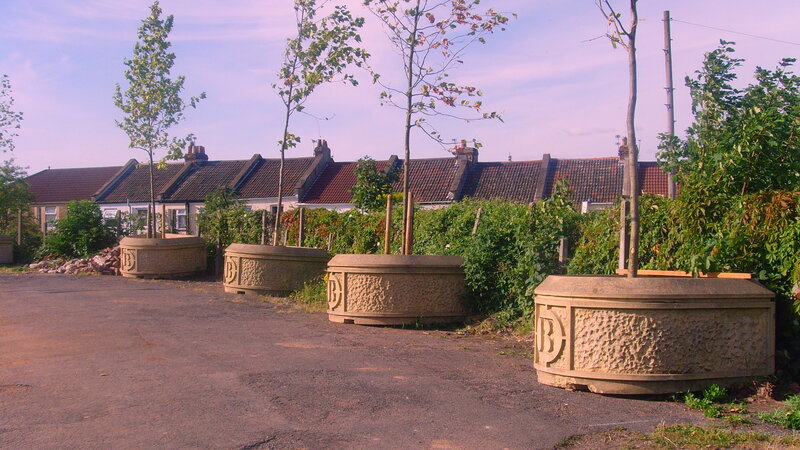 These were duly removed and replaced with new paving and a large sculpture called Tree Rings by Wolfgang Buttress. Imagine my surprise when I encountered them again, quite by accident while on a train through Bristol, reused in the Stapleton Road Community Garden. Here a similar story of removal from one context and insertion into another, this time with a little more knowledge of the ‘chain’ from all involved. A late 20th century attempt to relaunch Broadmead and counter the threat of an out-of-town retail park now repurposed as a series of permaculture spirals (Disclosure: I also have two of the paving bricks as seen in the top photo which sit on my desk and occasionally travel to conferences with me). Understanding how material like in these examples moves around has the potential to make a difference to people’s daily lives. 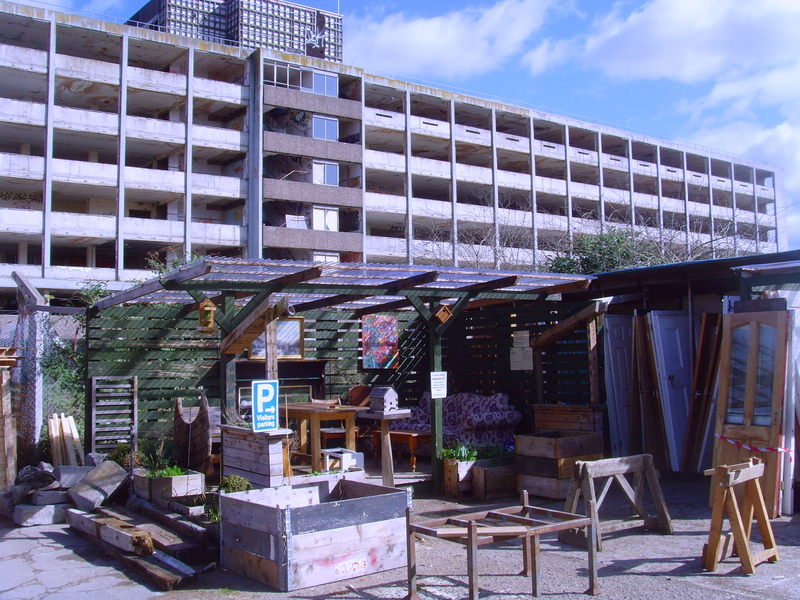 Away from the large-scale regeneration tropes of decline, gentrification, cultural aspiration, population movement and so on, they present a more subtle urban regeneration that works at the level of the individual and allows people the autonomy to ‘do’ urban regeneration themselves. I propose to use my month to re-examine the possibility for a Portable Ubiquities Scheme (PUS) that both catalogues and interprets the movement of day-to-day (we’ll discuss that later) objects around and between towns and cities. Non-archaeologists may want to take a look at the Portable Antiquities Scheme to see where I have borrowed a few things from! I have discussed this idea at archaeology conferences before, but not in the last 5 years, and I think it’s worth picking up again. My plan is to find ways to contact individuals connected to the movement of material in towns in different ways and explore that movement with them, in whichever ways are deemed appropriate by us at the time. Then, I hope to be able to start to define trends, similarities and material phenomena that I can begin to connect to ideas of how archaeology as a ‘way of seeing’ can be used by people to create their own habitable cities that I have been developing elsewhere. I am interested in hearing stories of material movement from people, but also keen to hear any ideas about how I could develop some kind of public event to run during my month in addition to the work I’ll be doing with individuals.